Sometimes a piece comes up on eBay that is hard to go past and this was one of them! It’s a Balinese piece so not the best quality but it was also half the price of it’s super top quality counterparts so it had to come home with me. I had a few different ideas for the piece and settling on one was the hardest decision to make. 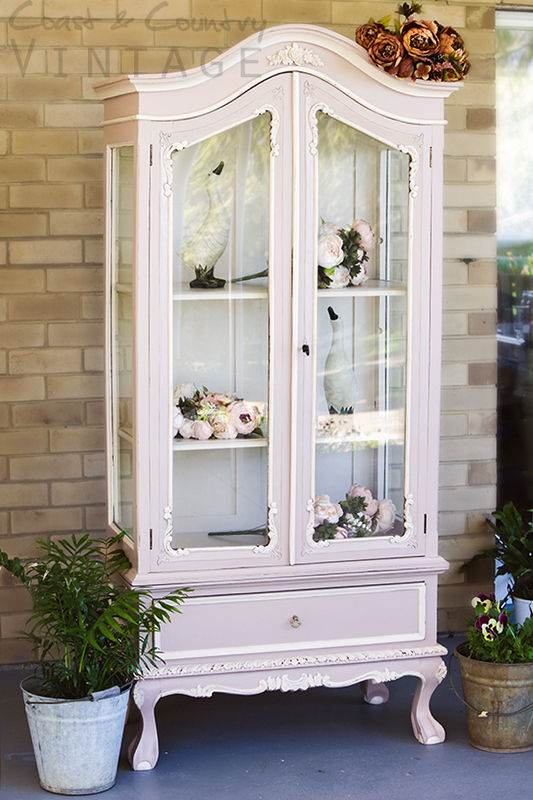 In the end the choice was made after browsing through the new Sherwin Williams range of colours and finding the most perfect shade of dusty pink I’ve found to date. 🙂 I love pastels. 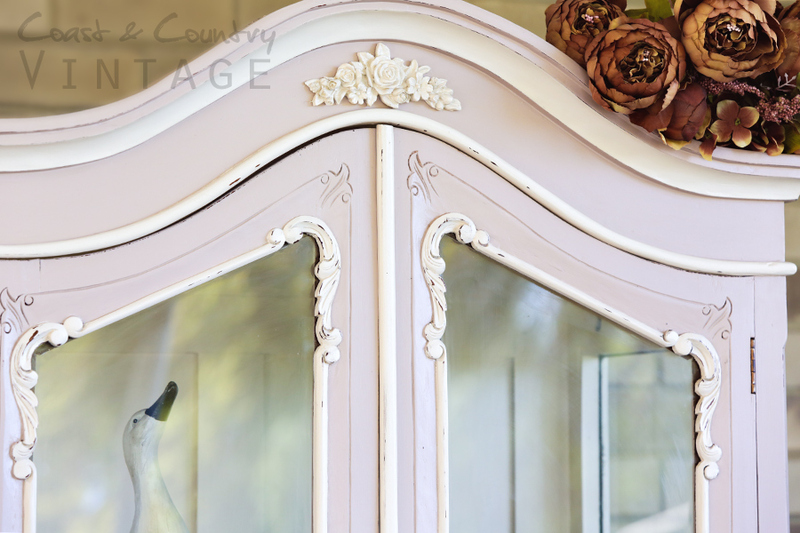 I’m a romantic at heart and I like all things prettiful, feminine and French so I chose the pink and a gorgeous deep cream to compliment it and with my vision now firmly in my head couldn’t wait to begin. Here is her eBay shot. I’ve been using and selling Websters Chalk Paint Powder for over a year now and it will always have a place in my paint cupboard. 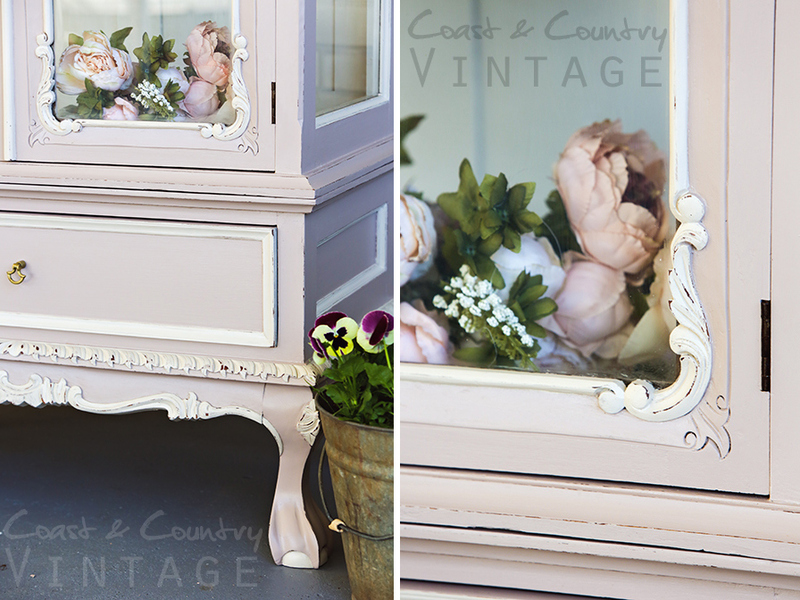 One of the BEST things about Websters Chalk Paint Powder is that I am not limited in any way by a particular colour pallette. 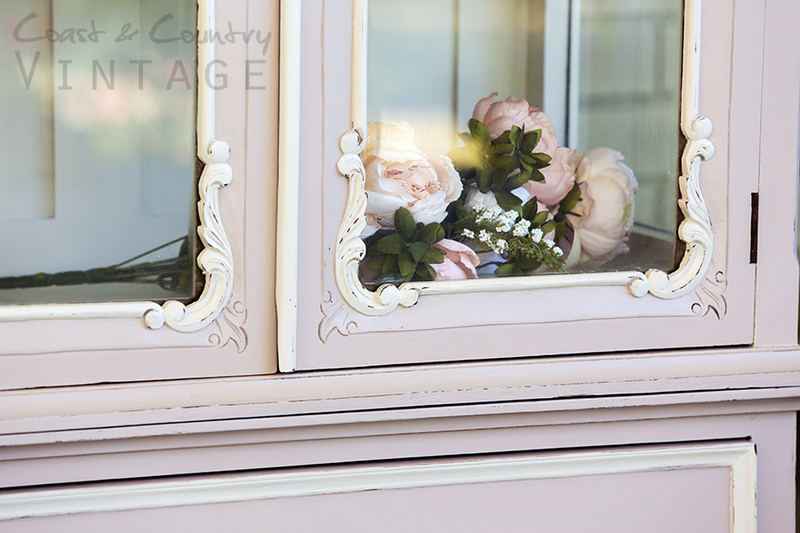 I can use any colour of matt or low sheen paint, in any brand I choose so the possibilities are endless. Websters was created by three of loveliest American ladies you’ll ever meet (and I have met two of them so I know what I’m talking about here!). 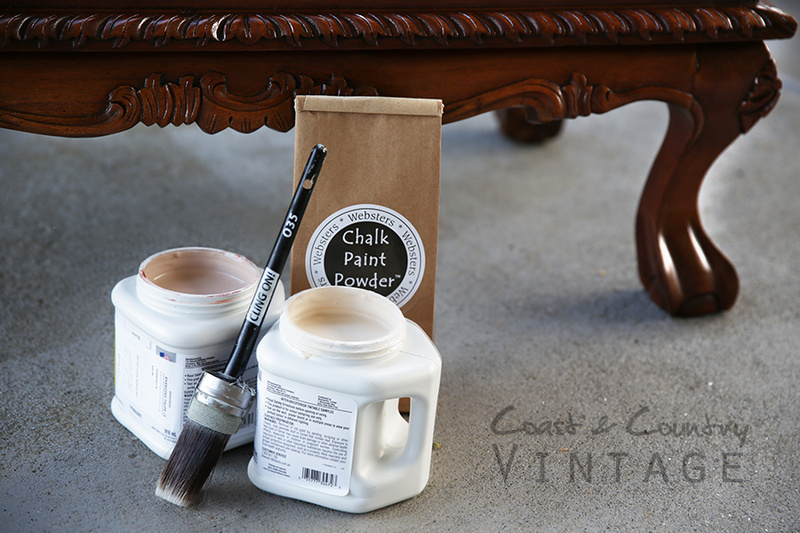 They spent many months working alongside a chemist to create the perfect Chalk Paint Powder mix which is made up of 7 different ingredients. No toxic elements like plaster of paris….but 7 carefully balanced safe to use elements to ensure the best home mixed chalk style paint on the market. If you are selling your creations, it’s very important to know what you are painting with and how it will stand the test of time. 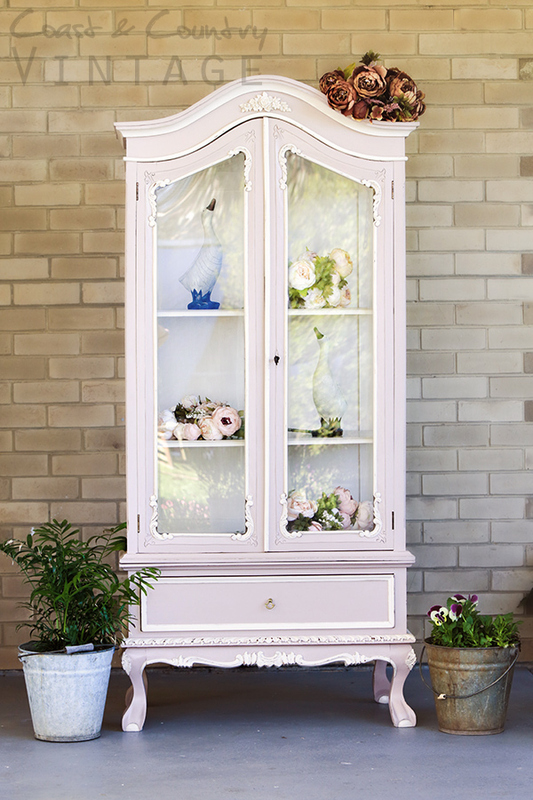 With Websters you get a perfect paint mix every single time and there’s no extra sanding necessary to get a beautiful smooth chalky finish….it’s just beautiful stuff. The new Sherwin William paint tester pots are the mother of all tester pots and have made painting with Websters so affordable it’s ridiculous. The pots are 960mls and retail for $16. No brainer there!Look at the size of these puppies! 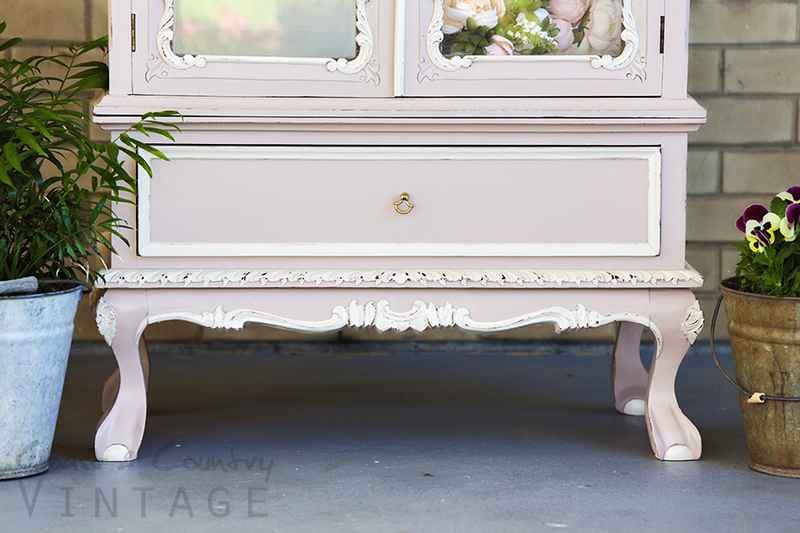 Balinese pieces are NOTORIOUS ‘bleeders’ meaning that 99% of the time after your first coat of paint you’ll see discolouration in either yellow or a delightful shade of pink (not the shade of pink I was after either!). I believe it’s the cheap satin/varnish used that causes the bleed, but Balinese and Thai pieces are also nearly always created when the wood is not fully dried so that’s why they often sport splits and cracks and joints that don’t quite meet. Whilst this is not a problem if you’re going to paint, it’s rather annoying if you are not! Despite the fact that I was itching to get to the fun part of painting….I took the time to give the piece a light sanding all over (just to remove the bulk of the sheen and get the majority of the grime off), cleaned it with metho & water and then painted it with a full coat of Zinsser Bullseye Shellac. This product comes in both a spray can (which is fabulous to have on hand for small areas of bleed) and paint on version. For this piece I used the paint on version as I needed to paint around the glass panes and I knew I’d need two spray cans which makes it more costly. 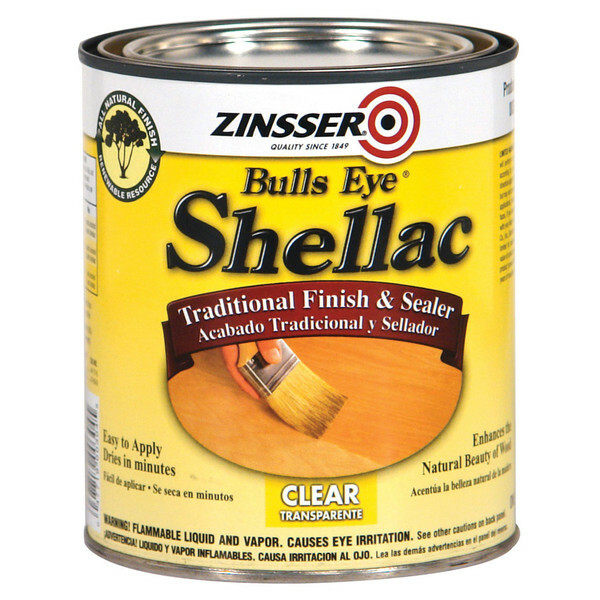 I decided to add the Zinsser Bulls Eye Shellac to my web store after struggling to find it anywhere. Masters used to sell the spray cans but now only have it in a 4 litre tin which is impractical for a hobbiest…so if you’re looking for smaller quantities you’ll find it on my website. You can buy the white version of this product in most hardware stores, but it’s a pain if you want to distress your piece as the white will show through. 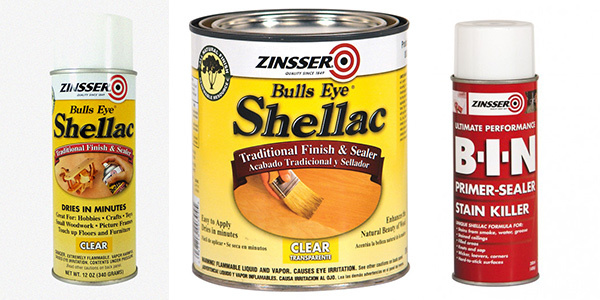 I have found through trial and error that the shellac based sealer is the best for stain blocking and blocking smells like nicotine…..even rivalling oil based stain blockers. This is what the cans look like. The red can is the white shellac, available from hardware stores. The hard part done…I got right into the fun part! I grabbed my favourite brush, my Cling On 035 and I painted the whole piece with the pink first (except for the inside) then painted the cream detail with a small artists brush. A small artists brush is an absolute must in any painters kit….they enable you to get into spots a normal paintbrush can’t reach with precision. And here she is! Please look past the dreadful brick background! We had ridiculous winds that were threatening to throw her to the ground on photo shoot day and my carport was the only place out of the wind! Did you pick the big change I made? I did away with the chunky pediment on the top (which was broken and crudely mended) and added a sweet little resin Applique in it’s place. I think it looks much better don’t you? 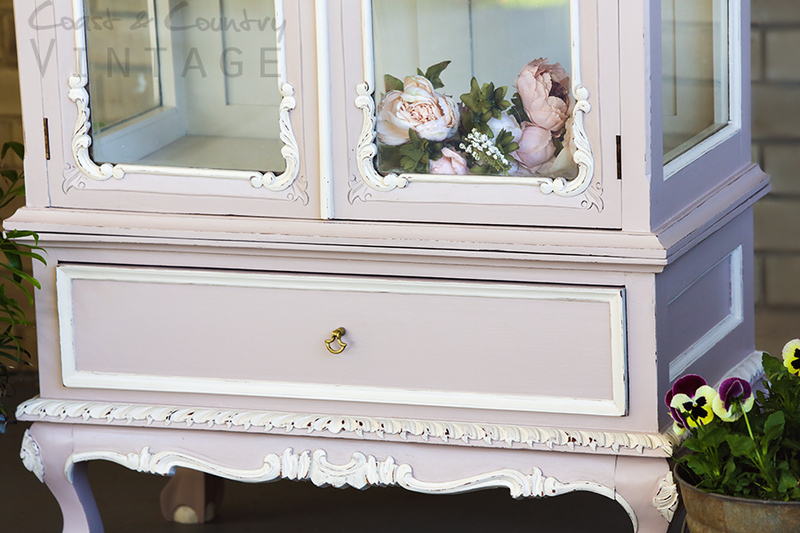 If you’d love to learn how to paint your own furniture why not send me a message! I run 101 workshops every 8 weeks in Berwick Victoria and twice a year here on Phillip Island. The next workshop will be in early February 2016. Wouldn’t have recognised it as the same piece of furniture! Great job. 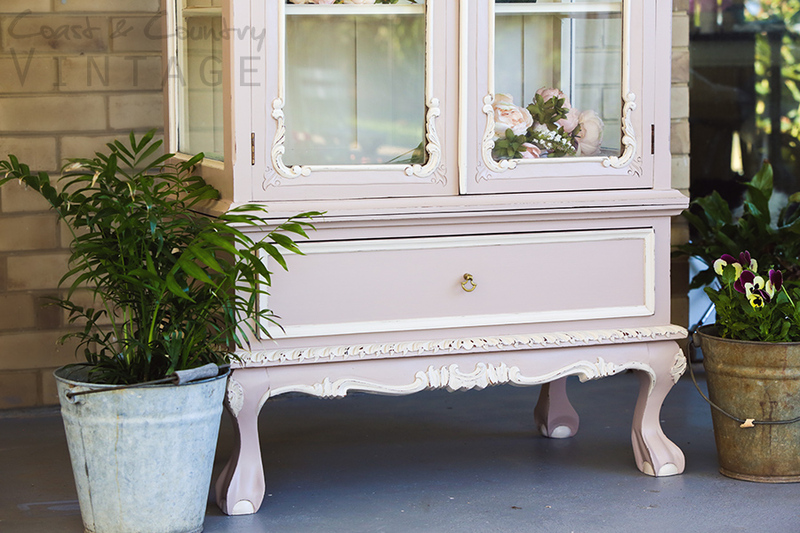 I’m into my first piece – a little table – made my own chalk paint, but very dry kept adding more paint/water. 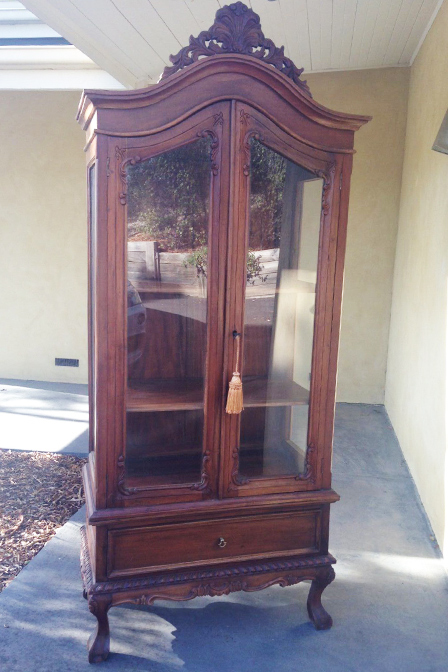 up to sanding & waxing or clear coating with acrylic satin finish. Beautiful job Hayley! I love it. Thanks for sharing about the shellac. It is such a great thing to use for the Balinese pieces. I also agree you’ve made a great change by removing the top piece and replacing with the applique. Pretty! 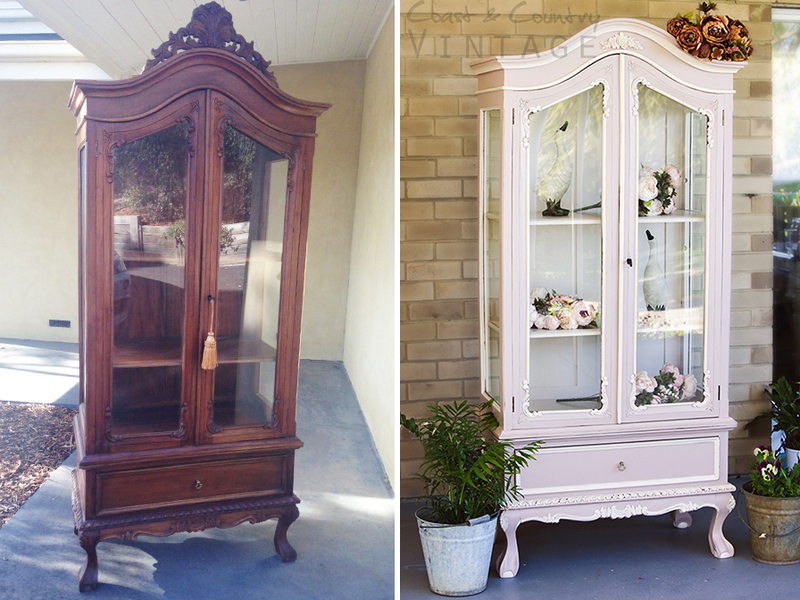 Previous Post Spray Painting Furniture. Part 2.